When I entered the sales world, one of the first things my manager taught me was to keep my presentation so clear and uncluttered that a child could understand what I was saying. This advice has had a lasting impact on my life. I frequently remind my audiences that I speak and write at the seventh grade, ninth month level. I do this because I’ve discovered that at that level virtually everyone can clearly understand the message–even college professors! I include college professors because they’re real people, and they, too, deserve to understand. Most of us prefer things we can understand. Lincoln’s Gettysburg Address is short and clear with nearly 80 percent of the words only one syllable. “God is love”–three words, all of them one syllable. Seriously, now, when you ask someone what they had for breakfast, would you really appreciate it if they responded that they had the “upper part of a hog’s hind leg, with two oval bodies encased in a shell laid by a female bird?” Or would you prefer to have the person answer, “We had ham and eggs for breakfast”? And remember, language changes. At one time we referred to a person who spread rumors around the office as a “gossip.” Now that person is called an “information specialist.” Personally, I prefer simple, clear, direct communications. I’m convinced that most people do. Keep your communications “simple,” and I’ll SEE YOU AT THE TOP! The holidays are upon us; a time of celebration and joy. I love the last days of November through the beginning of the New Year. The pure magic of the holidays is something that I anticipate and enjoy each and every year. For some though, the holidays have lost the joy and excitement they at other times have had. The pace of life has grown so fast—much faster than those first holidays I remember in my life—that some people don’t enjoy the times they get to spend with their family and friends during what is supposed to be days filled with joy and peace. Why is that? Probably a lot can be laid at the feet of how fast-paced our times are, but that isn’t all. Holidays can be days of excess for many—too much food, too many cookies and treats. Too much chocolate, schedules that are too busy. One thing that will help you enjoy the holidays is to be temperate. Enjoy the food. Enjoy the treats. Enjoy the busy schedule of activities and parties. But also be disciplined enough to know when to hold back, when to say, “No.” When we go overboard we regret it and lose the opportunity to fully experience that moment. But when we enjoy a little and refrain from going too far, then we can enjoy all that little piece of time has to offer. Much of the frustration people experience from the holidays is from setting their expectations too high. They expect too much from friends or family, and when they don’t get what they want, they get frustrated. They expect presents to be perfect and when they aren’t, they get frustrated or disappointed. Instead of having huge expectations this holiday season, just take it as it comes and enjoy what you can. And this brings me to my next point. This holiday season, go with an attitude of knowing that things will be what they will be. You can’t control other people or their actions. If a family member pushes the limits of your patience, ignore that and instead focus on how much you can enjoy the time you have with other family members. If things don’t go perfectly—which they won’t—then enjoy what you can and let the rest slide. You will feel a lot better about life if you can take all things a little easier. Debt is a killer. It will steal your enjoyment of life. Be sure to stay within your financial boundaries this holiday season. The last thing you want is to start the New Year with a deeper burden financially. Know where you are financially and stay within those limits. You don’t have to impress anyone, just buy gifts that you can afford and express your feelings in the giving of the gift. Be sure that, no matter how busy you get, you take time for yourself. Take time to read. Take a long bath if that relaxes you. Take a walk. Spend some time of quiet in front of a fire. Don’t rush through the holidays and sap all of your energy. Your mind and body need to be reenergized, so be sure to take time to do so. Ultimately, no matter what tradition you come from, the holidays are historically days in which we focus on the spiritual. Men and women are created with a natural draw toward spiritual life. However, our culture today tends to stay away from a focus on the spiritual, and that has even crept into our holidays. Be sure to place an emphasis on building your spiritual life and growing in that area. This will help keep you grounded and able to deal with anything that may come your way. Friends, this time of year is another chance to remember the important truths of life and to enjoy time with dear friends and family. Veterans starting the post-service phase of their lives face a unique set of opportunities and challenges. On the one hand, the post-9/11 G.I. Bill can help with getting a college education. On the other hand, the Bureau of Labor Statistics reports that veterans between the ages of 25 and 34 have unemployment rates nearly 4 points higher than comparable civilians. 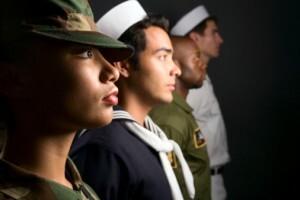 Working with USAA Insurance and Military.com, we decided to shed some light on this issue by determining the Best U.S. Cities for Veterans. Each of the variables was weighted based on what soon-to-be or recent veterans said was important to them, and each metro area was then ranked based on its total points for all variables. Metro areas with the following attributes were excluded from the list: unemployment rate more than 1% above the national average, cost of living greater than the national average and total crime rate more than 25% above the national average. You can check out the study on USAA’s site here.